From the 13th century, the Order of Preachers has benefited from the presence of historians among its members. Yet it was not until the beginning of the 17th century that the Order undertook a Dominican history as an official project. This decision was the result of the publication of a volume of Annales by Malvenda in 1627, then of two volumes of Scriptores Ordinis Praedicatorum by Jacques Quétif and Jacques Échard in 1719 and 1721, and finally the Bullarium Ordinis Praedicatorum prepared by Tomás Ripoll and edited between 1729 and 1740. The effort of a group led under the direction of Tommaso Mamachi allowed for the publication, in 1756, of a unique and promising volume: the Annales Ordinis Praedicatorum. After the great rifts of the revolutionary era, there arose within the Order a new interest for its own history. In 1841, the General Chapter asked that materials touching upon the Dominican constitutions be collected. From the end of the 1850’s, stimulated by Master Alexandre-Vincent Jandel, a number of Dominicans dedicated themselves to various aspects of the Order’s history, such as Gaetano Cicero (1805-1888) who re-edited the Constitutions of the Order; Thomas Bonnet (1825-1895) who set about the revision of the Scriptores; and Vincent Ligiez (1823-1898) who undertook an Epitome Bullarii. The year 1893 saw the birth of a new periodical under the editorial supervision of Pius Mothon (1854-1929), the Analecta Sacri Ordinis Praedicatorum, which contains sections dedicated to historical material (official documents, hagiography, necrology, statistics). Under the management of the German Dominican Benedikt Reichert (1868-1917), fourteen volumes were published between 1898 and 1904 in the collection, Monumenta Ordinis Praedicatorum Historica, editing the sources of the Order’s history. No complete revision of the Scriptores was ever achieved, but a continuation from 1750 onwards was published by Rémi Coulon et Antonin Papillon between 1909 and 1934. A specialized work was imposed quickly up tsrion the first team, placed under the direction of Gabriel Théry (1891-1950), co-founder, alongside the French philosopher Étienne Gilson, of the Archives d’Histoire Doctrinale et Littéraire du Moyen Âge in 1926. 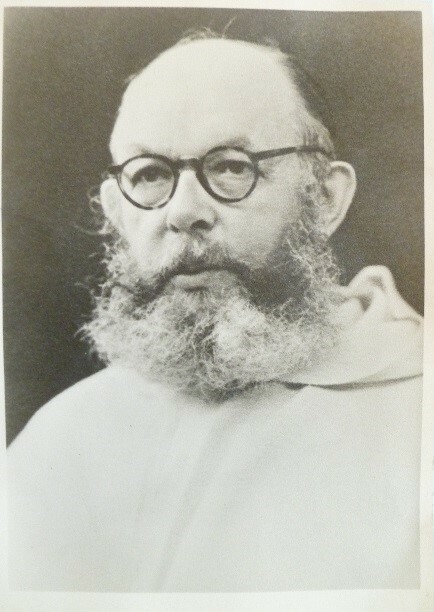 Raymond Loenertz, of the Province of France, as was Gabriel Théry, found himself entrusted with the study of the Dominican missions; Hyacinthe Laurent (1906-1968), took responsibility for the Monumenta; Gilles-Gérard Meersseman (1903-1988), from the Province of Saint Rose, was charged with the study, and the eventual publication, of the manuscripts of illustrious Dominicans. The IHOP, furthermore, was tasked with bringing to completion the work carried out in the 18th century by Jacques Quétif and Jacques Échard and to bring it into the contemporary era. Under the direction of Thomas Kaeppeli (1900-1984), director of the IHOP for forty years, a complete revision of this major work appeared between 1970 and 1980 under the title Scriptores Ordinis Praedicatorum Medii Aevi, after a long investigation among libraries and archival deposits. The forth tome was completed by Emilio Panella, of the Roman Province, and published in 1993. Moreover, an annual historical review, founded with the Institute, appeared starting in 1931: the Archivum Fratrum Praedicatorum. Two collections made up the editorial structure: a new series of Monumenta Ordinis Praedicatorum Historicae (18 volumes published since 1933), and a collection of historical monographs, the Dissertationes historicae (35 volumes published since 1931). After Gabriel Théry (1931-1936), Thomas Kaeppeli assumed a rather long presidency at the head of the IHOP (1936-1977). The orientalist Raymond-Joseph Loenertz died in 1976. In the 80’s, Raymond Cretens (Province of Flanders), who joined the Institute in 1939, and Stefano Forte (Province of Malta), who joined in 1947, had to leave their posts at the Institute. These departures necessitated an era of change. From its beginning, the headquarters of the Institute had been situated in the Roman convent of Santa Sabina. 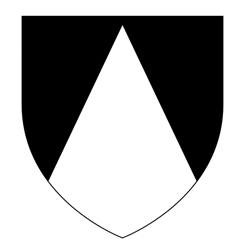 In 1974, the General Chapter at Madonna dell’Arco decided to transfer the Institute to the convent of Saints Dominic and Sixtus, the headquarters of the Pontifical University of Saint Thomas Aquinas (the Angelicum). The old Dominican Liturgical Institute was also incorporated along with its rich library. In 1985, in order to come to the aid of the IHOP, Bernard Montagnes (1924-2018), from the Province of Toulouse, received the directorship of the Archivum Fratrum Praedicatorum. From 1976, he collaborated with the General Archivist of the Order. He spent his time between archives and the Institute up until spring 1989, the date of his return to his province and of his assignation to the convent of Toulouse. He was then replaced as director of the Review by Carlo Longo (Province of Sicily), already the secretary of the IHOP since 1986. The General Archivist of the Order from 1987 to 1995, Emilio Panella was at his side to assure the interim period of the Archivum. 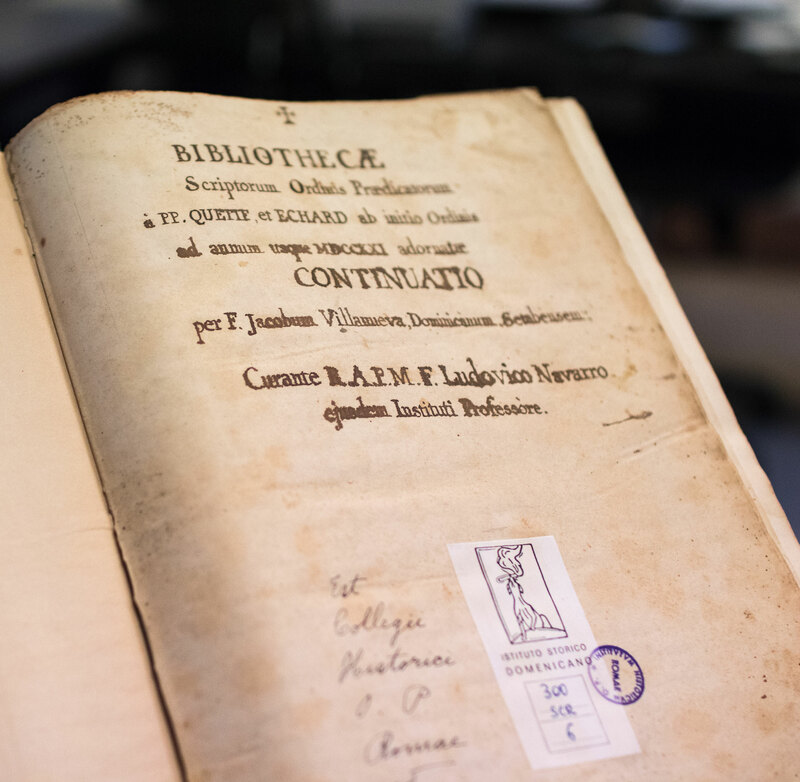 This Roman team benefitted from an invaluable library at the headquarters of the Institute. Other Dominican historians, whether or not residing in the City, collaborated with this research. Beginning in 1992, the IHOP enjoyed a renewed vitality. Simon Tugwell, from the English Province (1992-1995), then Arturo Bernal Palacios (1995-2009) from the Province of Aragon, and finally Carlo Longo (1992-1995) successively directed the Institute and garnered the aid of dedicated Dominican researchers, among others were Wolfram Hoyer, from the Province of Upper Germany and Austria, and Paul-Bernard Hodel, from the Province of Switzerland. These historians carried on the collections and publications in progress. A new review was born in 1992, the bibliographic bulletin Dominican History Newsletter. Simon Tugwell, beginning in 1995 in the review Archivum, also undertook to publish a double series of articles bearing a critical look at some precise points of the life of Saint Dominic and several fundamental elements of the genesis of the Order: “Notes on the life of St. Dominic” and “The evolution of dominican structures of government”. Between 1996 and 2004, at the turn of the new millenium, those responsible for the IHOP organized five seminars at Rome drawing together young Dominican historians. In the context for the preparation of the Jubilee Year 2000, the General Chapter of Bologna called on the IHOP in 1998 to examine historically the engagement of Dominicans in the Inquisition. This request was honored and four international conferences were organized between 2002 and 2009, under the general title Praedicatores inquisitores. These conferences allowed for, in connecting with the best specialists of this field, an in-depth, original study of the issue. In 2013, Master of the Order, Bruno Cadoré, commissioned by the general chapter of Trogir, started a reform process of the Historical Institute and founded an ad hoc commission. In 2015, Viliam S. Doci, from the Province of Upper Germany and Austria, was named President of the IHOP. Helped by Luciano Cinelli, from the Province of Rome, and Augustin Laffay, from the Province of Toulouse, it fell to Viliam Doci to furnish the Institutum historicum with a new energy for the eighth centenary of the religious order. Following this goal, a new series was inaugurated in 2016 in the review Archivum, and, in September of that same year, a symposium of young historians was organized in Toulouse, among the Languedoc birth sites of the Order. Conferences were dedicated to “Biblical Studies and Preaching” (2016) and to “Dominicans in Russia” (2016), thus establishing a connection with the academic institutions interested in Dominican history, and opening a path of new and fruitful collaborations. Sources : Acta Capituli Generalis electivi extraordinarii, Romae, Ex Collegio Pontificio Angelico, 1929 ; Hyacinthe Laurent, « Un Institut historique dominicain », Année dominicaine, 1931, p. 166-169 ; Angelicum 7 (1930) 410 ; ASOP 94 (1986) p. 112-113 ; ASOP 97 (1989) p. 61 ; ASOP 104 (1996) p. 634 ; ASOP 117 (2009) p. 126-127.